As promised, I thought it would be fun to share a few of the outtakes from our little love-inspired photo shoot. 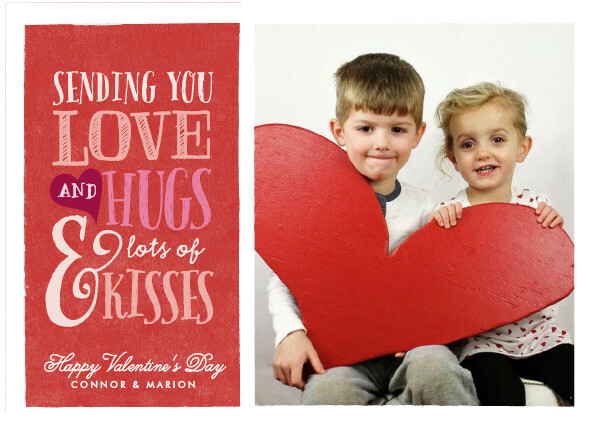 As in years past, I threw the kids in front of the camera in to snap some pictures of them for a Valentine's Day card to send to friends and family. Unfortunately, both kids were germy, snotty, disgusting messes that day, with bedhead and cranky attitudes and the photos reflect their annoyance with me. The picture I used in our card is the best I could get (out of approximately 175 photos) and they both look like death warmed over. Y'all, this winter is going to kill us. Anyway, I hope you all have a wonderful Valentine's Day, filled with all the love, kisses and chocolate you want! Mim's bow!!!! <3 <3 Happy Valentine's Day! And I saw your Insta-story... I hope you got to relax today! They are the cutest, snot and all!!! You description has be loling but they look so darn cute, snot and all!! They are so damn cute! My favorite is the one where it looks like Connor is either preparing to eat Marion or he's yelling in her face. Ha ha! But seriously... best surprise in my mailbox this week! I love them! And loved the card!!!! They are so cute. I love how Mim copies everything Mac does! They are precious! Hope you had the most amazing Valentine's Day! These outtakes are the best! They both have the greatest expressions of all time! Mac always with the best faces and Mim looking particularly grown up..!! This was awesome! It has been on my to do list to Preston's 1st year photobook & Our Disney vacation book for 6+ months. I just submitted my requests last night and I can't wait to see what they come up with.